What is your favourite (all time) animated cartoon and why? Mine is South Park at present, It's all rubbish but something appeals to a long lost childish sense of humour. Old school Donald Duck, no doubt. Tom and Jerry. The Dynamic Duo. When you look back at it now, they wouldnt get away with it these days! so many..And South Park is just brilliant. At least Tom and Jerry were friends from time to time. Meep Meep has to DIE! "You really only hear what you want to hear don't you?" "Sure, I'd love a milk shake." "I'm a Chicken Hawk and I'ma gonna get me a chicken!" Atlantis the Lost Empire was my favorite animated movie. I was an artistic kid and I would draw the stone heads that revolved around the giant crystal. For some reason, I found the magic crystal beautiful in the way that inspires awe. Of course I didn't think it like that when I was a kid but that's how I felt. I was in the classic Cartoon Network era with the Grim Adventures of Billy and Mandy, Ed-Edd-and-Eddy, and even the old ScoobyDoo programs that were aired. Scooby Doo was always my favorite, lol. Last edited by cosmictraveler; November 26th, 2012 at 12:23 PM. Itchy & Scratchy, part of the Simpsons...a cartoon within a cartoon! Without a doubt Tintin was my favourite television show as a child. Probarbly The Coyote, or Wile E Coyote and Road Runner to give it it's full title, that just seemed really funny when I was a kid. I just liked the way whatever insane plan coyote came up with it always backfired on him. The Jetsons were very entertaining, where's my flying car!!! Foghorn leghorn is awesome. I say..that's a joke son....a flag waver. I wonder what cartoon the Duck likes? As for myself, I enjoyed Ed, Edd, & Eddy, mostly because they spent their lives doing pointless things in an attempt to screw over everyone else, and because I relate to Ed. Growing up it was between "Space Ghost" and "Jonny Quest". I have to say the old Donald Duck stuff. "Water ship down" and "Blown with the wind" which are STILL the movies that scared me most. A weird cartoon I get to watch when my granddaughter visits. Last edited by AlexG; June 18th, 2013 at 10:21 PM. "Isn't sanity really just a one trick pony, anyway? I mean all you get is one trick, rational thinking! But when you're good and crazy ... ooh hoo hoo hoo ... the sky's the limit!" If you like "The Tick," you might have enjoyed "Freakzoid." It was uh... Total madness. For me I think it is a toss up between south park and Phineas and Ferb. 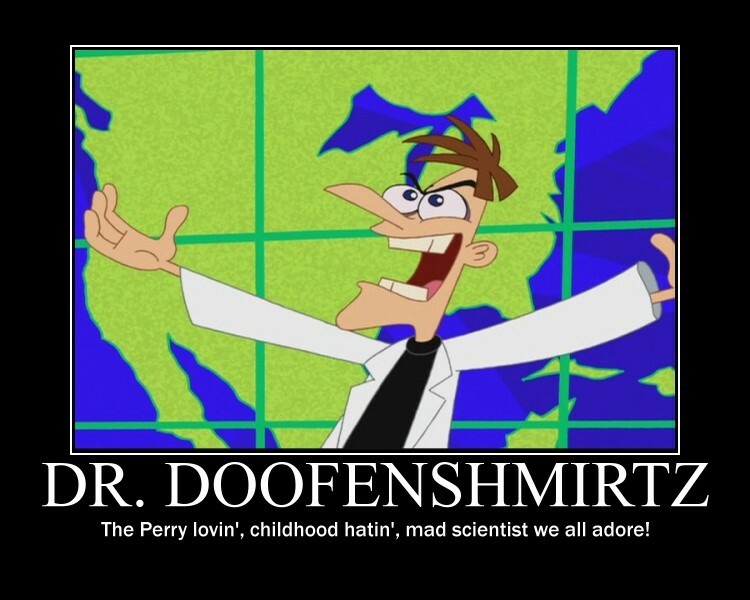 Dr Doofenshmirtz is awesome. If I could get my hands on a lab coat I'd be as dangerous as he is. Neverfly and Cogito Ergo Sum like this. I've recently started watching the Venture Bros. Pretty sweet show. If I could get my hands on a lab coat I'd be as dangerous as he is. Toss up....Road Runner and Mighty Mouse! You should keep your sexual fantasies to yourself. Did you ever watch the live action version? Only ran 9 episodes, but it was pretty good. Patrick Warburton was perfectly cast. Not watched it yet - but I have it somewhere in my collection. Oh heavens, that is just the TIP of that iceberg! Jimmy Neutron because it's about friendship and science! I'm surprised nobody mentioned this one, but it's not very old. I enjoy some soviet cartoons too. Last edited by ~Mark~M~; August 16th, 2013 at 03:51 PM. Ascended and babe like this. sculptor and shazzy like this. I know it's kind of kliche , but Tom & Jerry are my all time favourite.. I liked almost every cartoon that was made by Disney.. 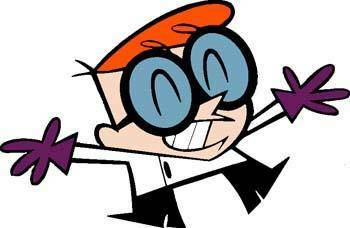 When I was a child and watched the adventures of Dexter in his laboratory, I wished that I could work in a laboratory, wear a lab coat and conduct all kinds of crazy science experiments when I grew up. Twelve years later, I am setting up and conducting interesting and (simple) science experiments, whilst wearing a lab coat, in order to receive my B.Sc. in biochemistry. Thank you Dexter, for giving a young boy an aspiration worth striving for. My favorite cartoon is Doraemon, It is a Japanese cartoon. Carl Potts discusses Marvel Comics & Comic-Con - YouTube anything done by him.....I've been a friend of his since I was 14 years old! She-Ra: Princess of Power is my favourite cartoon. Along with name f cartoon series please post one photo and tell us about why they are special. at least some small details. it will help us to unerstand small children in our houses.